Your son’s teacher sends you an email saying he hasn’t turned in any of his homework assignments. Your home is suddenly strewn with toys, shoes, and backpacks—and you just picked everything up! Your child’s soccer coach keeps her on the bench while every other player gets subbed into the game. How do you feel? What happens now? You might not admit it, but secretly you know that part of the problem is you. 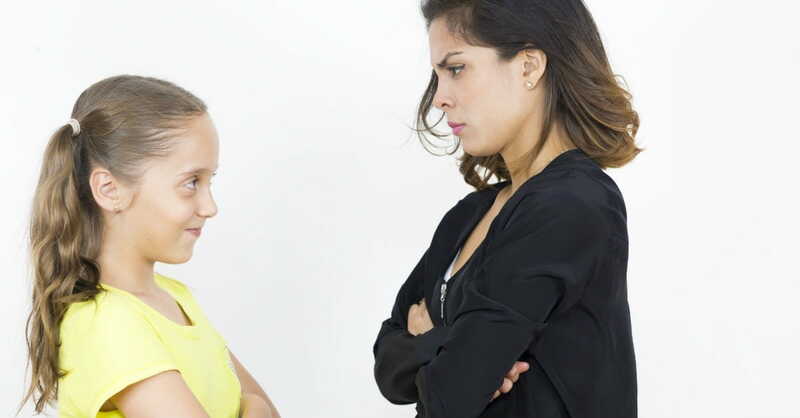 Yes, you are an angry mom, but you’re not sure what to do about it. You really love being a mom. But sometimes, you’re just mad. Anger is a useful but volatile emotion. Designed as a warning mechanism for injustice, anger is the catalyst to move you into constructive action; however, it may also launch you into verbal, physical, or emotional explosions. Any mom can sense anger building, but many moms cannot prevent their anger from unleashing on children, husbands, neighbors, coaches, or teachers (and unsuspecting telemarketers). Ephesians 4:26 commands, “In your anger, do not sin.” Sounds simple enough. But if you’ve got an anger problem, you know it’s not that simple. You’ve also probably tried some handy techniques that people have suggested, like counting to 10 or biting your lip. Chances are, bottling up anger just creates a bigger explosion down the road. We know from psychology that angry parenting causes insecurity, fear, hostility, and violence in children. Whenever parents discipline in anger, their punishment confuses their children and fails to establish godly behavior, because angry discipline actually causes kids to grow up resentful and rebellious. And when parents attach God’s standards to angry punishment, kids quickly decide that God is harsh, unloving, unforgiving, and cruel. Not exactly an environment for promoting spiritual growth or a love relationship with Jesus! So how can moms get their anger under control? The first step is identifying the source of anger. This is a good source of anger—it serves as a warning mechanism to propel you toward positive change. This kind of anger holds abusers accountable, feeds the homeless, and pressures lawmakers to enact justice. Warning: an angry response that stems from pride or embarrassment will bring retaliation, not justice. Rage should not be confused with righteous anger (i.e. Jesus in the Temple, John 2:15). When we are afraid of losing something or being exposed, we will respond in a fight-or-flight pattern. Flight hides, but fight lashes out, looking for someone to blame. And when you cast blame, you often also start an argument. Moms are just plain exhausted most of the time. Tiredness exacerbates perspective. When you’re tired, everything becomes a crisis. You have no patience for messy children, late husbands, demanding schedules, or delicate conversations. You are prone to arguments, over-exaggerations, and over-reactions. Tiredness is a breeding ground for anger and hostility. Yes, believe it or not—doing everything right can make you angry person. Why? Because you can’t do everything right, and neither can anyone else. If you have set expectations for yourself to manage home, children, work, husband or ex-husband, church, friends, hobbies, and volunteer positions with grace and excellence, you are setting yourself up for disappointment and frustration. And when you can’t accomplish what you think you should, how and when you want to do it, you will get angry. And then there’s the additional problem of expecting everyone else to do everything perfect, too (i.e. the way you would do it). Now if you’re really self-controlled, and you never lose your temper, that doesn’t mean you don’t have an anger problem. You might demonstrate passive-aggressive tendencies, like making snide or cruel comments, being sarcastic, or ignoring or bottling anger up inside until you blow (which always surprises you). Or perhaps you punish the people you’re mad at with the silent treatment or by controlling everything around you. 1. Get enough sleep (you can fold the laundry tomorrow). Shut down electronics 30 minutes before bedtime and cut out the sugar and caffeine after dinner. An extra hour of sleep might be all it takes for you to show patience and grace the next afternoon at 5:00 when the kids are melting down. 2. Give yourself permission to fail at something you want to do well. So you didn’t sweep the floor and you didn’t weed the flowerbeds. So what? If you didn’t yell at the kids, the day was a huge success! 3. Speak positive words. Instead of saying “You never [fill in the blank],” thank your kids for what they do well. Instead of grumbling about an expense (because grumbling leads to anger), thank the Lord for what you can afford and for the blessings you enjoy. Find the happy in every situation. 4. Think before you speak. Consider if what you’re about to say is encouraging, helpful, or kind. It may be better not to talk at all. 5. Assume the best in people. Instead of responding with anger or annoyance when someone offends you, take time to assume that his/her words were not spoken with malice. When you feel an angry response urging forth, decide to assume the best and ask for clarification. Model for your children how to respond to someone without an attitude. 6. Take a long look. At the end of your life, which situations will have been worth your passionate attention (or obsession)? Probably not the unmade beds or picky eaters. (But that’s hard to remember that when your kids are whining in the back of the minivan.) Instead of snapping at them or berating them for their annoying behavior, remember that raising children is a long involved process. They’re not finished yet. Focus your energy into building character habits that will last a lifetime. Then you won’t get angry about the endless annoyances that happen all around you. Probably, you aren’t the only one in your house with an anger problem, so you could also work on these initiatives as a family. Acting on anger (with the exception of fighting injustice) is a waste of your time and energy. Instead of exploding, be a mom of action and purpose; when you feel anger rushing up inside your body, take a minute to determine its source and its destination. Then engage in ministry that will outlast your frustration! Sue Schlesman is a writer, teacher, speaker, and pastor’s wife who lives in Richmond, VA with her husband and 3 sons. She blogs and writes Bible studies, non-fiction, fiction, curriculum, and children’s books. She has published a variety of print and non-print media.